The lawsuit alleges that a policy mandating that defendants in El Paso, Texas, who have unpaid traffic fines pay 25 percent of the debt or face a jail sentence instead. Levi Lane is one of two plaintiffs in a federal lawsuit alleging the City of El Paso, Texas violates the 14th Amendment's guarantee of equal protection under the law. This border city has a policy on its books that allows the city to jail people who cannot pay their traffic fines. Now a lawsuit filed in federal court is challenging the policy, saying it violates citizens’ constitutional right of equal protection under the law guaranteed by the Fourteenth Amendment of the United States constitution. The story that led to the filing of this lawsuit was began at two o’clock in the morning April 23 2014. Levi Lane, was driving home after his shift at a dog food factory. “I get intercepted by the police. They pull up behind my car,” Lane recounted. He said that police searched his car. And that he granted that permission to search the car after, he says, two officers told Lane they wanted to check the vehicle for narcotics. “They didn’t find anything. They weren’t going to find anything,” Lane said. But the story changed immediately when the officers ran Lane’s license. “They found out that I had, like,13 traffic warrants,” he recounted. That translated to approximately 3400 dollars in unpaid fines. “From there on out, story over, he said. “My registration was expired and I didn’t have any insurance. And I couldn’t update my registration because of the lack of insurance prior to that.” Lane had decided decided to roll the dice—and drive to his overnight shift—because buses in El Paso don’t operate round the clock. He lived across town and he needed the work. “Kind of puts you in a situation that’s hard to get out of when the money starts to stack,” he said. Lane was brought into court later that morning. He pleaded guilty to his previous offenses. He could’ve gone home then and there if he could pay a portion of the outstanding fines. He couldn’t. And here’s the issue; Both federal and state law say you can’t jail someone for non-payment unless you first have a hearing first to see if that person is really unable to pay. If they can’t, the Supreme Court , Texas law, and the Justice Dep’t all say alternatives like a payment plan, reduced fines or community service must be considered. Lane never had that hearing. Citing Lane’s case, a state-funded legal aid program has launched a federal lawsuit against the City of El Paso. “The basis of the case is that the City of El Paso has an unconstitutional debt collection process,” said Brian Jacobi, an attorney at the Texas Civil Rights Project. He part of the team representing Levi Lane in this case. Jacobi is hoping this lawsuit will set a strong precedent that tells cities they can’t write their own rules that allegedly ignore the constitution and unfairly punish the poor. “Nobody in this case is ever saying that Levi should just be completely absolved of responsibility for these tickets. The question is how can he pay his debt to society? We’re trying to empower him to do that without sitting in jail unconstitutionally,” Jacobi explained. This not an abstract legal debate limited to El Paso. Since September, similar lawsuits have been filed inWashington state, Mississippi and Louisiana. And then there is the story of Ferguson, Missouri. In 2014, Ferguson unravelled after police shot and killed an 18-year-old black teenager, Michael Brown. The Department of Justice reported part of what stoked the flames of discontent was a systemic police and courtroom targeting of people that “exacerbates existing racial bias.” The report specifically mentions that people are put in jail because of unpaid traffic fines. “Many many cities and counties continue that practice. And it takes a greater effort to eradicate that problem in our law,” said law professor Ranjana Natarajan at the University of Texas at Austin. She explained that the practice runs counter to the U.S. Supreme Court. Natarajan is the director of the Civil Rights Clinic at the law school. She says courts can’t jail people like Levi Lane without first conducting an Indigency Hearing. “We find that courts are often doing that without determining whether people have the ability to pay in the first place,” said Natarajan. Texas is active on this issue. The City of Amarillo has been sued over debtors’ jail sentences, which can last days, weeks or months. A similar lawsuit lost last Fall when a federal judge ruled that the City of Austin could not be held liable for the actions of judges. The El Paso case alleges the city’s own policy – not judges –sustains a practice that Natarjan says often financially cripples poor people. “That’s essentially punishing people for their poverty. And that’s something that we as a society decided long ago we don’t want to do,” Natarajan concluded. No one within El Paso’s judicial system would comment on this lawsuit. If the city is found liable, this case would mark the first time in Texas that the courts hold a major city responsible for a formal policy that allegedly violates the concept of equal protection under the law. And that is why lawyers across the country are monitoring this case. Has Science Failed To Connect Football and Chronic Head Injuries? Life After Cruz: What’s Next for Texas Republicanism? 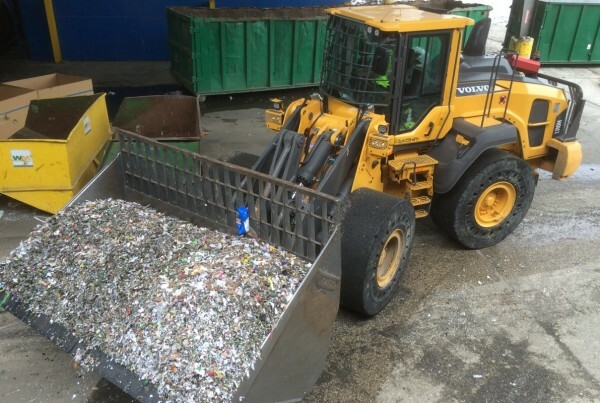 There’s A Demand For Recycled Glass, So Why Is Houston Ending Pickup Service?